Please note early Capris have a thin thread on this assembly, so you must check before ordering. We keep both specs in stock. 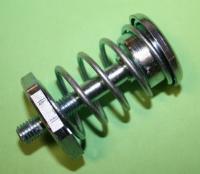 Bonnet pin, spring, collar and locking plate.